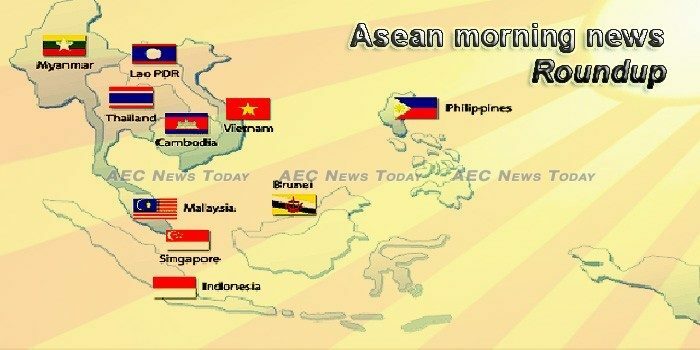 Manufacturing activity in the ASEAN region edged down in December, the slowest expansion since March last year, a survey showed Wednesday. Prevailing peace and stability in the world is never an easy task as myriad of interests of countries are involved, and most of the times, it makes some conflicts last for decades, such as those in the Korean Peninsula. Former Foreign Secretary Albert del Rosario urged the Department of Foreign Affairs (DFA) to work with Vietnam to block pro-China provisions in the proposed Code of Conduct (COC) in the South China Sea. Việt Nam should promote trade more overseas to bring in new customers and boost exports to the ASEAN region. Malaysian discount carrier AirAsia Group won’t open any new airline in the next three years and will focus on current operations after its proposed Vietnam launch, Group CEO Tony Fernandes said Wednesday. Can an ageing ASEAN stay competitive? Across Asia, demographic trends are indicating a growing ageing population with the 65 and above age category projected to more than double, reaching close to 2.5 times the current figures by 2050. AirAsia Group is transferring its non-digital businesses to Redbeat Ventures its wholly owned subsidiary. Southeast Asia’s apps-for-everything will dominate in 2019. Cash is being lavished on Grab and Go-Jek, as they dabble in everything from ride-hailing to groceries. It’s a Chinese approach to luring and keeping consumers who are moving online fast. Japanese firms are involved in a clash of titans that is expected to intensify this year between two successful ride-hailing startups in Southeast Asia. More than 1.27 million Chinese tourists visited Cambodia in the first eight months of 2018, a 72 per cent increase on the same period in 2017. But not all local business owners are happy. About 150 casinos are now in operation, up from 98 in 2017. In the coastal province of Sihanoukville alone there are 88. The law bans Cambodians from entering casinos. Indonesia`s inflation rate in December 2018 reached 0.62 percent, down from 0.71 percent in the same month a year earlier, the Central Statistics Agency (BPS) said on Wednesday. Assistance from the United States Agency for International Development (USAID) is enabling small-scale spice farmers in Indonesia to create sustainable futures for themselves, ending long-standing reliance on aid. The Indonesian state budget recorded a deficit of Rp259.9 trillion, or 1.76 percent of the national gross domestic product (GDP), last year, Finance Minister Sri Mulyani Indrawati said. The Minimum Wages Order (Amendment) 2018 came into effect nationwide yesterday (Jan 1). Often seen as “people with no choice and no voice”, refugees have been granted some valuable airtime in a new video production from low-cost regional carrier AirAsia. If there’s anything Malaysians love more than a public holiday, it’s a public holiday that falls near the weekend. 2019 is already here and it’s never too early to start planning your leave for those long holidays and quick weekend getaways. DECADES of stunted development under military rule gave way to Asia’s newest democracy after victory by Aung San Suu Kyi’s National League for Democracy (NLD) in 2015. This, along with the lifting of country-based sanctions by the US government, was supposed to be the turning point for Myanmar, thought to be the “last economic frontier” in Asean. Myanmar government troops opened 2019 with exchanges of gunfire with an ethnic armed organization in Rakhine state’s Buthidaung township, while police accused the same rebel group of attacking a convoy transporting the regional chief. THE Senate leadership has lined up for plenary deliberation and early approval the proposed P3.7-trillion 2019 national budget on top of other priority bills when Congress resumes regular sessions at the end of the lawmakers’ four-week Christmas vacation on January 14.
Business conditions at Philippines’ manufacturing companies improved further in December, but at a slower pace, supported by expansions in both output and new orders. Purchasing activity grew and employment increased at the quickest rate in four months. Philippines’ December 2018 inflation rate is seen to slide further to 5.5 percent as supply-side issues have been addressed and oil prices continue to decline in the international market. Last year was a better-than-expected year for the Singapore economy, but given the uncertainties that lie ahead, projections for 2019 are more circumspect, and for good reason. Last year, Singapore donated S$30 million to online charity portal Giving.sg, with a thirdÂ of that donated in December alone and half a million donated on Christmas Day. In his 2019 New Year’s message, PM Lee use quite a lot of positive adjectives to describe Singapore’s growth this past year. Describing 2018 as a ‘productive year for Singapore’, PM Lee first noted that the local economy grew steadily at 3.3%, exceeding expectations. The annual New Year holiday is seeing another rise in the number of deaths on the roads, although the number of accidents and injuries is down on last year, so far. Though the number of road accidents is lower this year compared to the ‘seven dangerous days’ last year, drunk driving and speeding remain the key contributing factors in crashes and account for most of the arrests, Interior Minister Anupong Paojinda said on Wednesday. Labour productivity in the Vietnamese economy has been estimated at 102 million VND (4,512 USD) per workhand in 2018, up 8.8 million VND (346 USD) from the previous year, according to the General Statistics Office (GSO). On Wednesday, Vietnam Airlines Group announced it made a record consolidated revenue of VNÄ100 trillion in 2018, marking an increase of 15 per cent in pre-tax profit to nearly VND 2.8 trillion (US$120.46 million). The law comes into force a week after the Vietnam Journalists Association announced a new code of conduct on the use of social media by its members, forbidding reporters to post news, pictures and comments that “run counter to” the state.